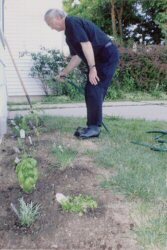 Following my 2006 marriage to Diana Harris, who has maintained an herb garden for many years, I joined with her in the enjoyable and useful activity. 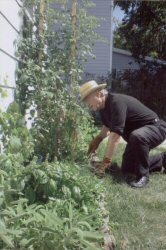 We use fresh herbs in cooking, and I grow spearmint for mint juleps (see Mixologist). I also study herbs for their reputed mystical and curative powers.